This is my favorite season of the year. Something is going on all the time. I can’t keep up with it all. 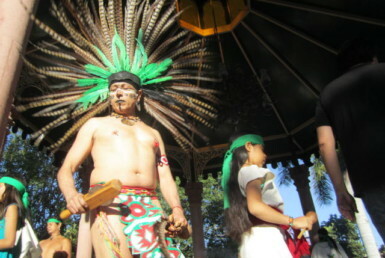 Between the expat community and the Mexican community, there is no resting. There are parties almost every night. Last night as I was getting ready for bed, I heard the big fireworks going off. I have learned to tell the smaller cohetes (which just make a very loud noise) from the ones that burst in the sky with patterns of fire. You know, the kind we see north of the border. I went out into my yard so I could see them better. I was wondering why they were going off on the 21st. Then I remembered about the winter solstice. I don’t know if that was the reason or not but it was a very loud evening with lots of music and parties all over my neighborhood. 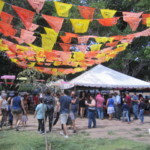 There are more than forty holidays and festivals in Mexico. So you can understand why I can’t keep up with them all. 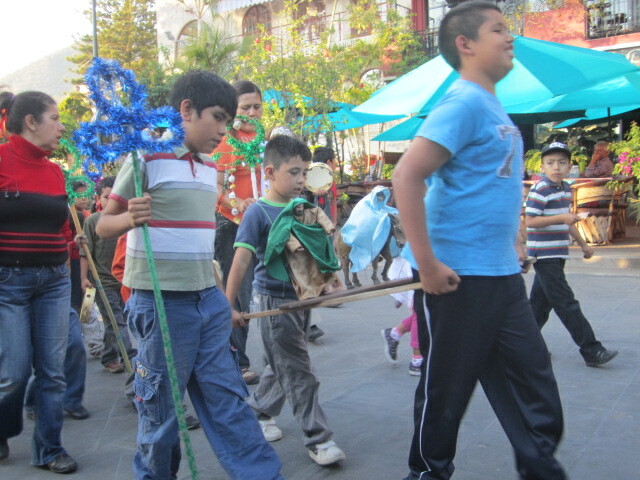 Much of the activities for the Mexican community revolve around the Catholic Churches. 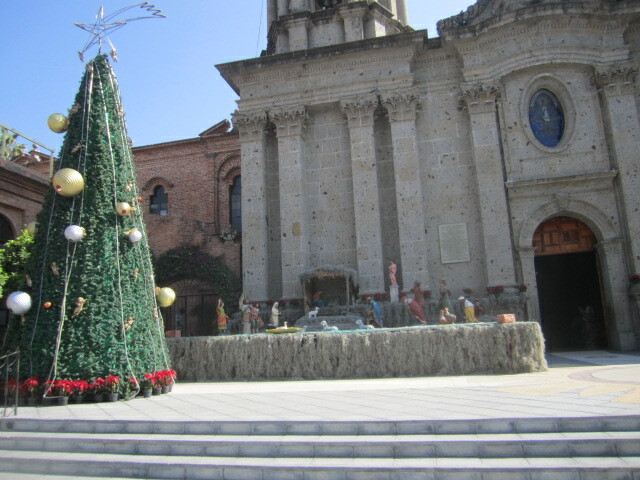 Above is a photo of the church in Chapala with the Christmas tree and a large Creche. 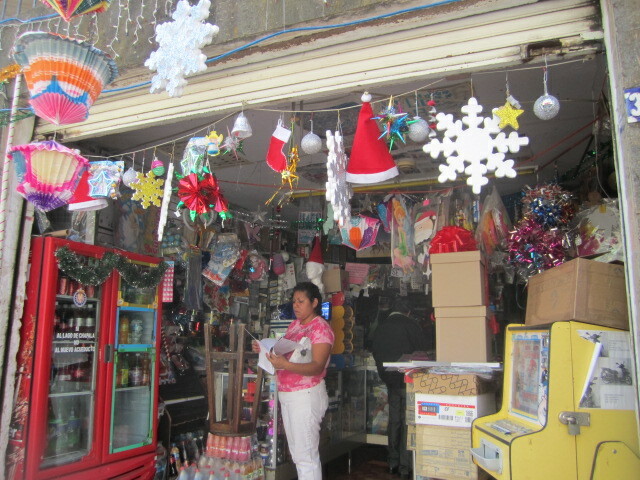 These Creches can be seen all over town, both inside the stores and businesses and outside. 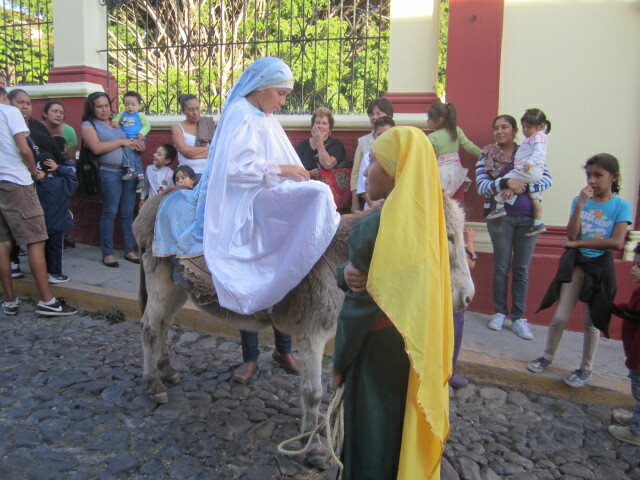 On Christmas Eve, there are live ones at the church in Ajijic. I will show some of these later in this article. If I can get my camera to take some good night photos. 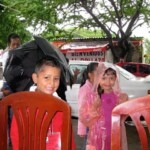 I rode the bus to Chapala the Friday before Christmas to take photos. It was a busy day in town. People were shopping for Christmas. 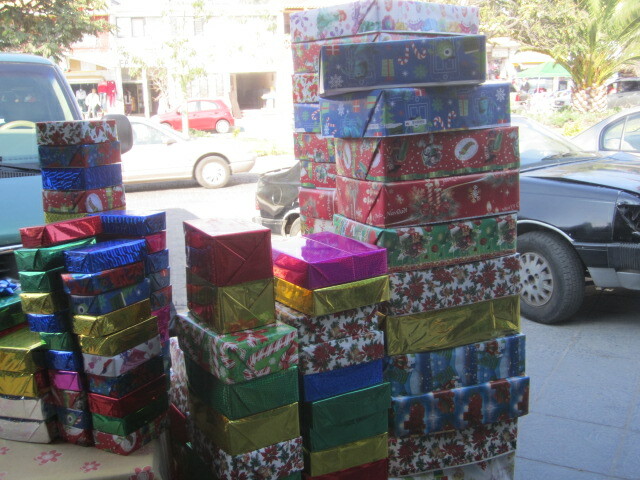 Stores had their products stacked out on the sidewalks. It was a lot of fun to experience all the excitement and anticipation of Christmas. It made me wish I had small children again. Even though people were busy, everyone was friendly. I love seeing all the decorations up in the little stores along the main street. 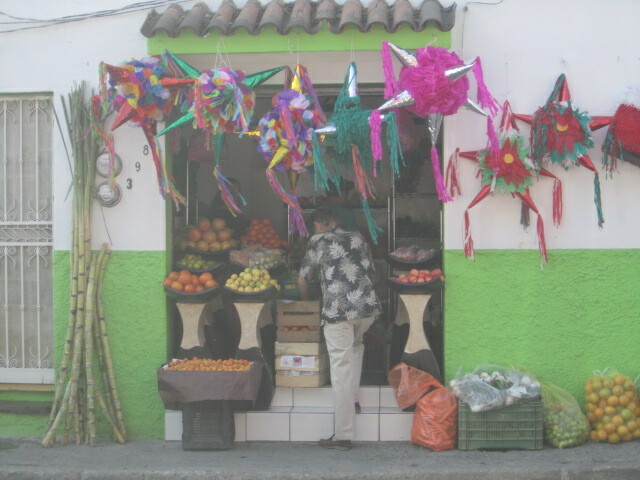 Below is a photo of one of the fruit and vegetable stands. 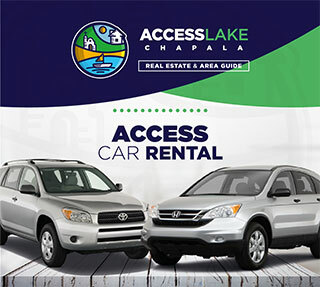 (There are many in Chapala.) Looks like they are also selling pinatas. 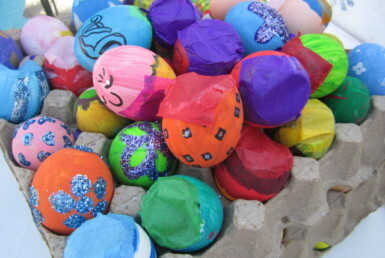 Pinatas are seen everywhere during this time of the year. The larger streets here always have monster pinatas down the center of them. They look beautiful with the blue sky in the background. No snowy days here. 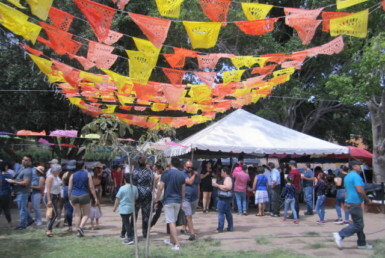 Just lots of sunshine and brightly colored pinatas. 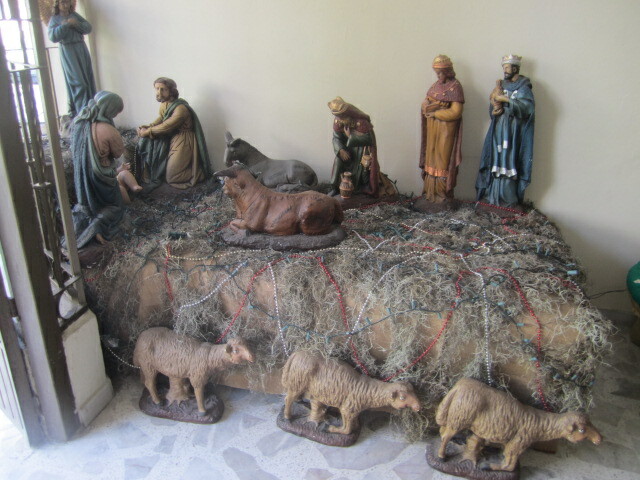 Below is a photo of one of the many creches in town. This one was in an office. 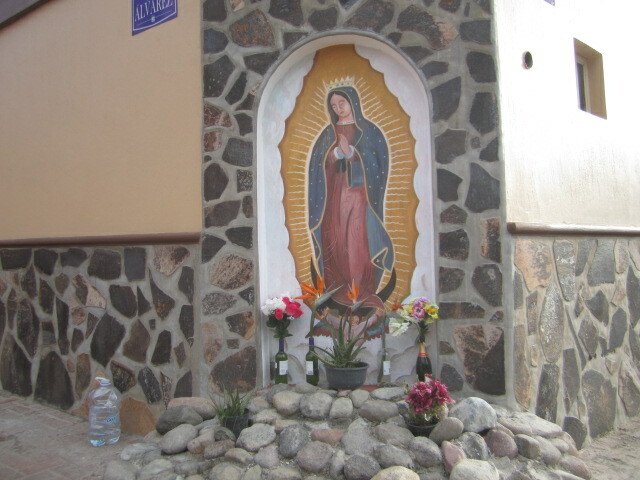 There are also many altars set up in the Mexican neighborhoods. I wasn’t able to see them but I did get one that is always in my neighborhood. I noticed that the altar in the photo below has a large water bottle with some water at the bottom. I am guessing that it is part of the offerings. 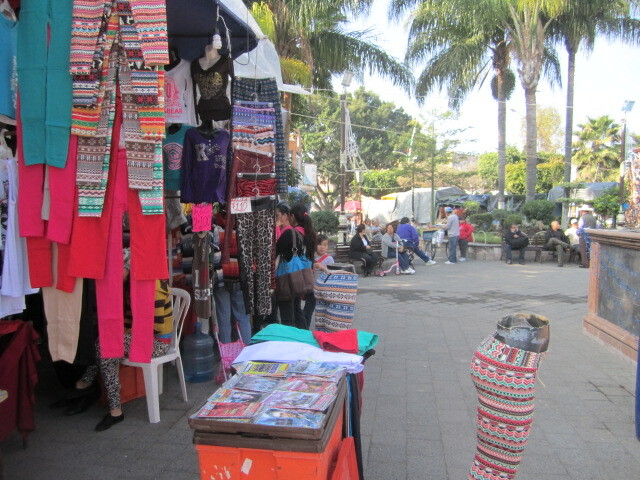 The plaza in Chapala was filled with stands, selling toys, clothing, perfumes, handmade items, etc. It was crowded. These little stands are much less expensive than the larger stores in town. Plus, they are more fun. 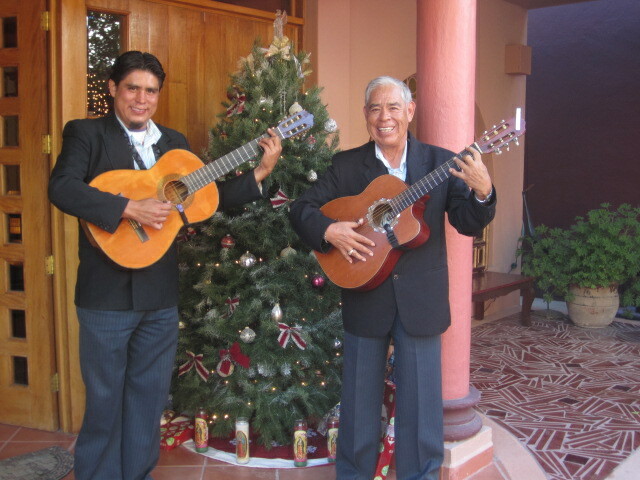 The posadas start on December 16th and go on every evening through Dec. 24th. The children in the photo below are getting ready to start one. 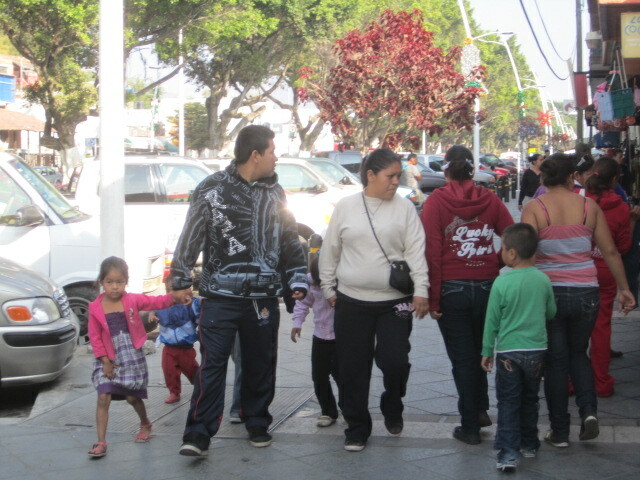 They meet in front of the church and walk to different neighborhoods asking for a place to stay for the night. 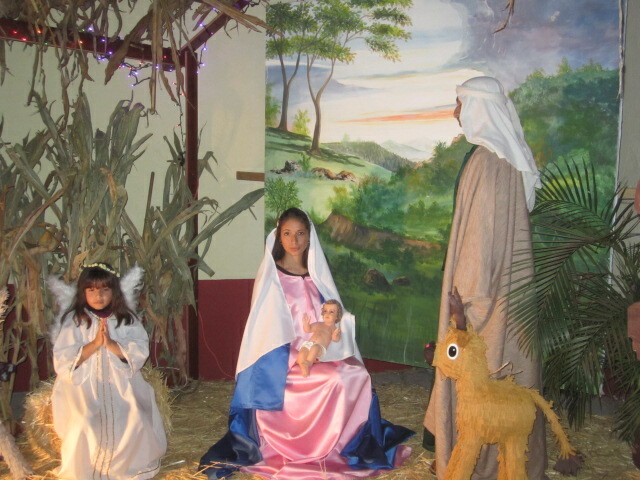 You can see that the boy is dressed like Joseph and he is waiting next to the girl, posing as Mary. 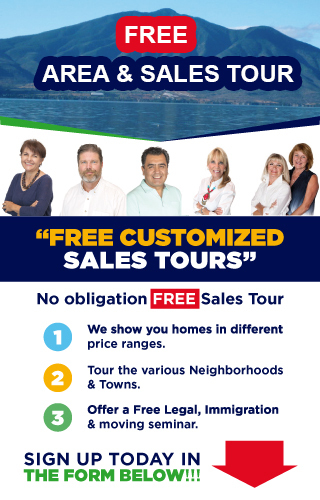 After asking at many houses where they are rejected, they finally come to a house that is preplanned. They open the door and have a party in that house, food, games and a pinata. The children love these posadas. They make Christmas stretch out for many days. 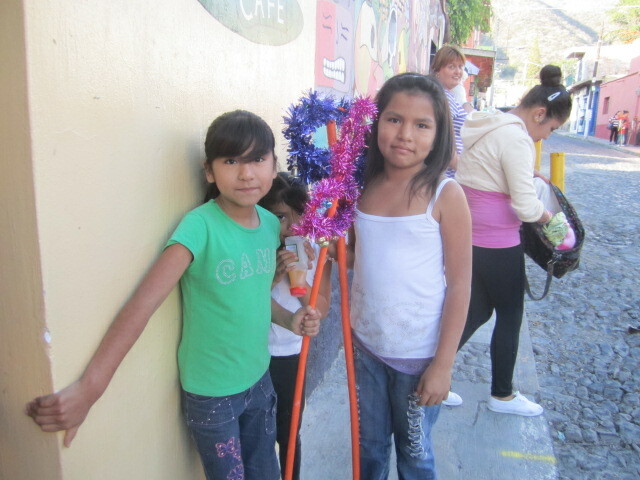 The girls in the photo below are carrying staffs for the posada. They don’t look very happy. Maybe because they have to walk behind the donkey. Maybe next year, one of you girls can play the part of Mary. Then you can ride the donkey instead. I am guessing that the little girl in the photo below is dressed like the baby Jesus. 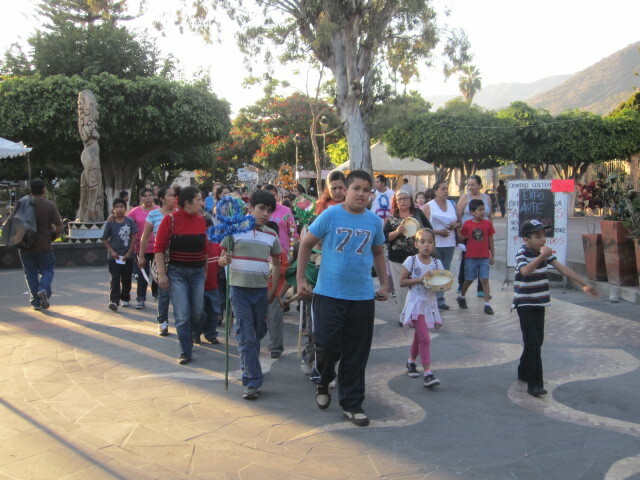 The posada returns through the Ajijic Plaza. People looked a little tired. If you look closely at the photo below, you will see that the boys are carrying two figures. One is of Joseph walking beside Mary and the other is of Mary, riding on a donkey. There are many house parties during this season. I was lucky enough to be able to go to one. 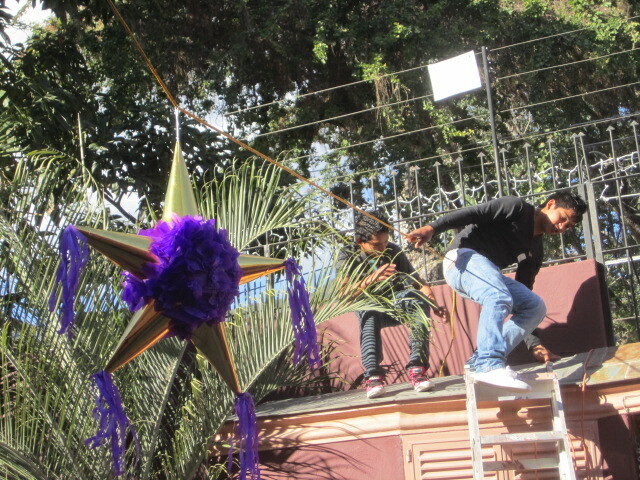 The boys in the photo below are putting up a pinata. 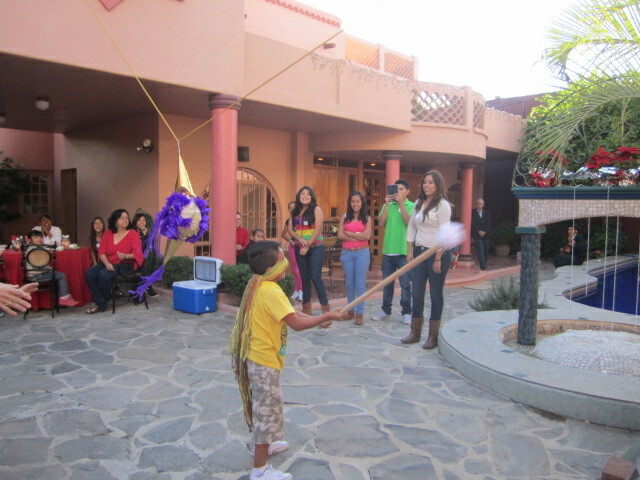 Some things about pinatas: The seven points of the pinata represent the seven deadly sins. 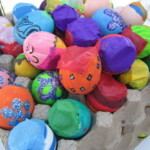 the pinata’s inner clay pot represents the pleasures of Satan, to attract people to the underworld. The blindfolded person represents faith, which must be blind. The stick symbolizes Christian goodness. The shower of candy and fruit represents the unknown joys of which the good and faithful will receive in Heaven. This information comes from the Guadalajara Reporter. Below is a photo of Carlos and his son Carlos Jr. They were hired to play at the party. They usually play at Los Telares. Maybe you will recognize them from there. They are very accomplished musicians. The children loved listening to the Christmas music and sang along with them. I went out with my friend to the Ajijic plaza on Christmas eve. 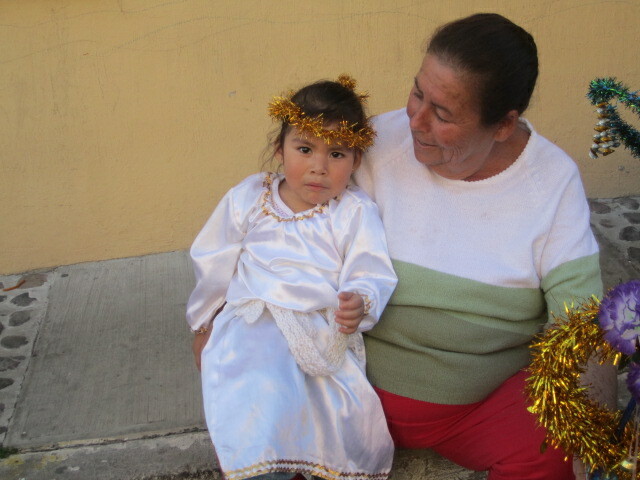 It had rained a few hours earlier and we were grateful that it had stopped for the live creches in the church courtyard. Last year the theme was other countries. This year, it was different places in Mexico. I wasn’t able to get the information of the different creches. There were many people milling around, taking photos and enjoying the evening. I had to keep moving. So I cannot tell you any information about them. Hope you can just enjoy the photos. I love seeing the creches and I hope to make it a yearly event for my life. Some of the women in the creches had live babies. Others had statues. The one above just had a statue of Jesus. But what a beautiful Mary. I managed to get one closeup of a baby, posing as Jesus. These families looked so proud of their babies and my heart reached out to them. My friend and I kept brushing back our tears at the beauty of the evening. 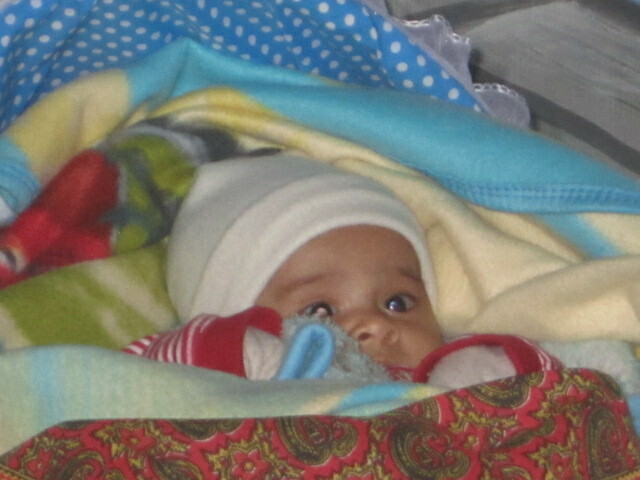 If you ever lose your way in life, just find a baby and gaze into his or her eyes. You will find it again. 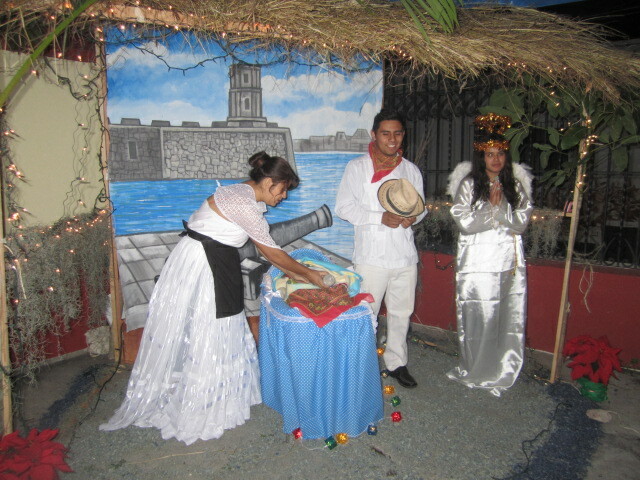 I managed to find out that the children in the photo below were representing Oaxaca. 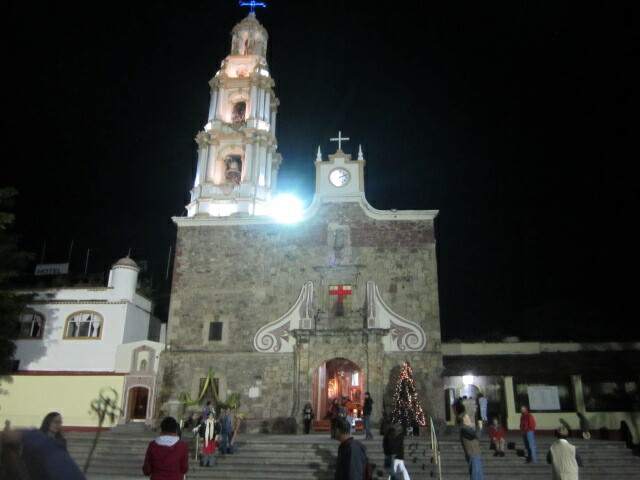 After walking around the church courtyard, we walked to the Ajijic plaza. Christmas lights were strung around the plaza and many people were out enjoying the evening. 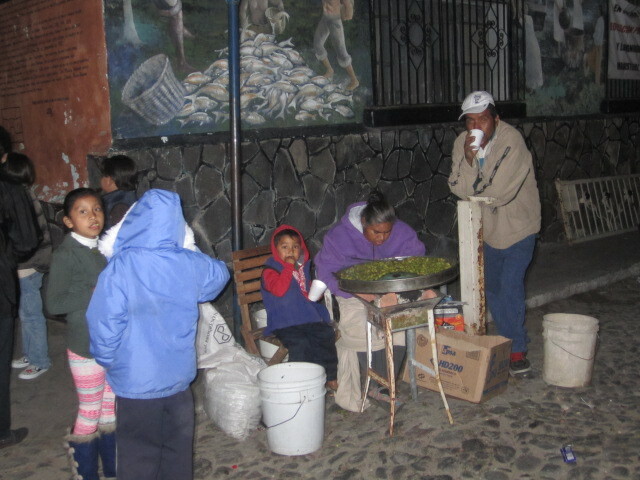 On a corner, before the plaza, we saw a family selling roasted garbanzo beans. They looked cold. Because the Mexicans are used to warmer weather, we often see them dressed much more warmly than the expats from northern climates. The above photo was taken in the Ajijic Plaza. 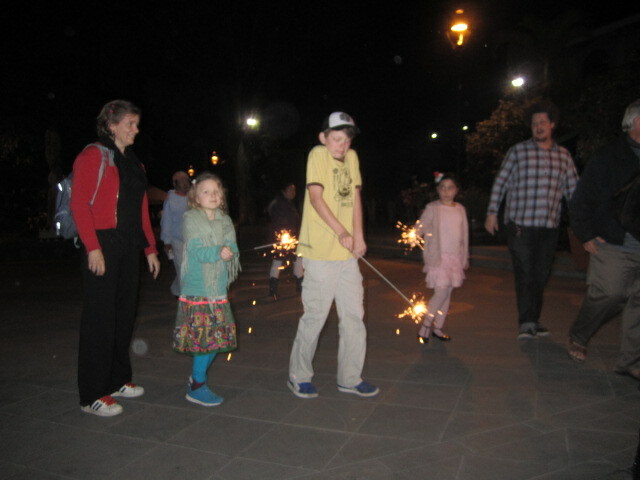 The children were enjoying their sparklers. My friend and I sat at a coffee shop and had hot milk with whipping cream on the top. It was such a peaceful evening, even though it was a little cold. I feel lucky to be living in such a beautiful part of the world. 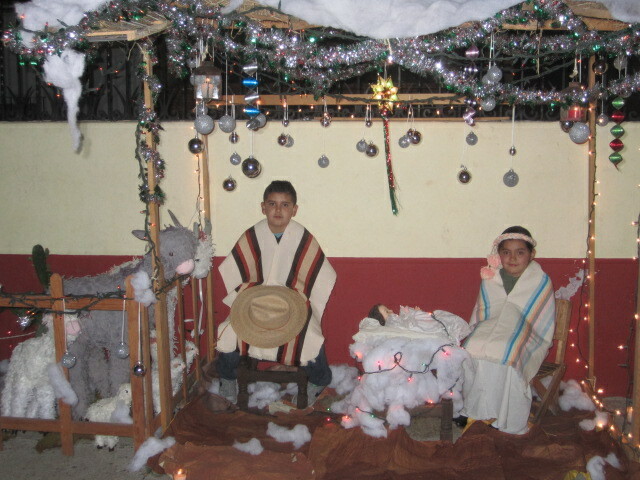 If you are ever in Ajijic during the Christmas holidays, don’t miss the Church Creches and the plaza! Your writing is heartfelt and touching. 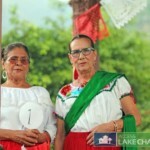 Your spirit shines in this wonderful article and it is obvious that your heart belongs to Mexico. Thank you for this. It is beautiful. I was talking on my ham radio this morning to a former resident of NC who retired to Chapala. He was telling me about the beautiful decorations at Christmas time and I wanted to see some of what he was talking about. 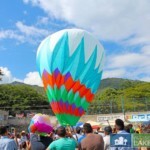 I googled “Christmas in Chapala” and found your beautiful photos and comments. Thank you so much for sharing your experience.